When it was announced that Jose Mourinho was going to take charge of Manchester United ahead of the 2016/17 season, the clubs fans across the globe began to dream about the possibilities of what one of the most iconic managers in the game could bring. Since Sir Alex Ferguson left the club in 2013, United have never been able to reach the glittering heights he propelled them to. A few managers have tried, but both David Moyes and Louis van Gaal failed to live up to expectations at one of the biggest football clubs in the world. Arguably, though, there’s one man that’s capable of hitting the high standards Ferguson set. In December 2015, Mourinho was booted out the door by Chelsea owner Roman Abramovich, and with van Gaal shown the door by Manchester United, it was almost inevitable Mourinho would take the vacant job in Manchester. When the season kicked off in August, many were questioning how well United could perform this year. They had spent a lot of money over the summer, signing a host of huge names including Zlatan Ibrahimovic, Henrikh Mkhitaryan, and Paul Pogba, who was purchased for a world record fee of £89million. August was a fantastic month for Mourinho’s Manchester United. They beat Premier League champions Leicester City in the Community Shield, although unconvincingly, to win the first silverware of the season. This win was followed up by league success against Bournemouth, Southampton, and Hull City. Thanks to an injury time winning goal from Marcus Rashford at the KCOM Stadium, United ended the month joint top of the Premier League with Mourinho’s former employers, Chelsea. However, as time went on through September, cracks began to show in Manchester. A home derby day defeat to Manchester City following the international break handed Mourinho his first loss of the season. This disappointment was followed by surprising back to back defeats against Feyenoord in the Europa League and Watford in the league. With those results, United had lost three games in the space of eight days. The second half of September was more successful with an EFL Cup victory against Northampton Town followed by a 4-1 win against Leicester City. They ended September with a win against FC Zorya Luhansk in Europe, and it seemed as if normality had been restored. October threw up some tough challenges for United, and they started the month with draws against Stoke City and Liverpool. A 4-1 win against Fenerbahce in the Europa League ensured Mourinho’s men travelled to Chelsea a few days later in high spirits. However, the Portuguese manager’s return to Stamford Bridge will be remembered for all the wrong reasons. The hosts took the lead after 30 seconds and ended the match 4-0 winners. It was a humiliating day for Mourinho and his team, and a 0-0 draw at home to Burnley the following week has left his side in eighth place in the Premier League. They have just 15 points from 10 games. So far then, United’s prospects of winning the league don’t look great. Already eight points off leaders Arsenal and Manchester City, they’ve got a mountain to climb to get back into contention. However, after beating their city rivals in the second derby of the season, a 1-0 win in the EFL Cup, Manchester United are in the quarter-finals of the tournament. 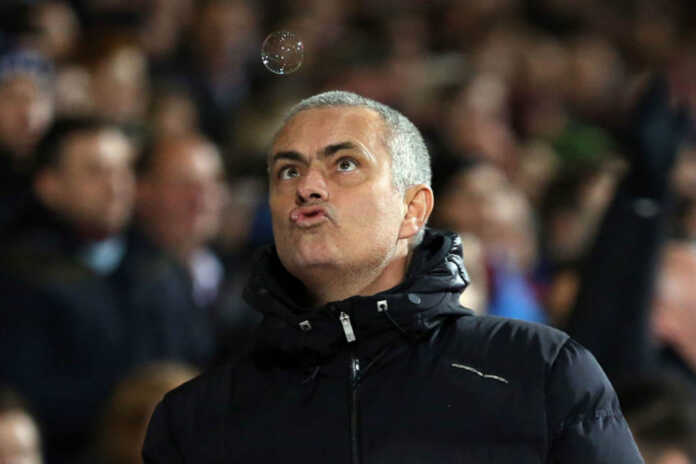 Mourinho is a serial winner and will want to take league cup glory, so winning that may be a short-term priority. United also sit second in their Europa League group after playing half the matches, so will be hoping to advance to the latter stages of that competition to chase continental glory. However, as they currently sit eight points behind the league leaders, domestic Premier League glory may evade Manchester United once again this season. What’s for sure, though, is that it will continue to be a rollercoaster all the way through until May.